In my build i am using a 2012 Honda BCR-1000RR Fireblade engine. Got the engine crane out ( only needed it once before) and got a chance to look over the engine which as done approx 8,000 miles. I contact Andy Bates at AB Performance, and he recommended i delete the water pump and fit an external water pump that is always on ( from the ignition key), so after a trac session it can sit in paddock with the water pump still working even though the engine isn’t turning over. This made a lot of sense, so i have purchased a water pump delete kit from him to do this. 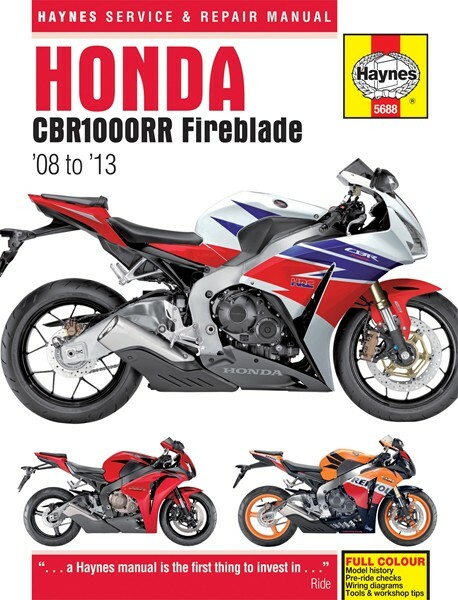 Purchased a Hayes Manual for a 2009 – 2013 Honda CBR1000 RR Fireblade ( didn’t know Hayes were still going). Brings back a few memories of my early guides for cars. Happy to admit I know next to nothing about Bike engines so expecting a steep learning curve. I ordered the HRC Clutch Springs and a Billet Sump so going to have to do some reading fairly soon.